If you consider yourself to be a careful driver, or if you don’t drive very much, you may not see the use in having more insurance than your state mandates. That said, if you were to wind up in an accident, having more than the state auto coverage minimum could save you a lot of headaches, no matter who is at fault. During a single moment of inattention, you accidentally plow into the back of a van full of passengers, injuring several of them. While your insurance may cover injuries you are responsible for, that coverage may not be enough if several people sustained severe injuries. Anything your policy doesn’t cover becomes your financial responsibility. You can easily exhaust your savings and credit cards and still not have enough. By carrying more than the state minimum, you can potentially save yourself a major financial headache. Even if you live in a safe area, crime is not bound by zip code. Say you wake up to find your car gone from where you parked it on the street last night. Without comprehensive coverage on your auto policy, you’ll be up the creek without a paddle. Additionally, fire, a flood, hail, a falling object, or any number of similar mishaps may damage your car. Comprehensive coverage better ensures thieves and Mother Nature don’t steal your peace of mind. You certainly aren’t the only driver who’s contemplated settling for only having the state minimum for car insurance. Should you be involved in an accident with one such driver, she or he may not have enough to cover the damage done to your vehicle. What’s more is you may find yourself the victim of a hit and run accident Nevada. 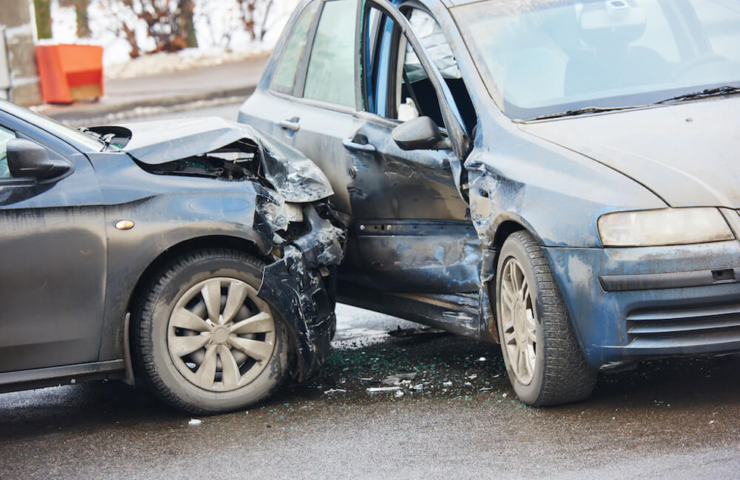 While you can turn your case over to a hit-and-run lawyer, it’s also a good idea to have uninsured/underinsured motorist insurance on your policy. That way, you won’t be financially liable for someone else’s negligence or oversight. If you ever have a flat tire or dead battery, going above and beyond the most current state auto insurance minimums could become a saving grace. Insurance companies often offer roadside assistance for a number of mishaps, and you can enjoy them for free by having more than the minimum insurance. Without that extra coverage, you’ll have to pay for those roadside assistance services out of your own pocket. Another extra perk to keep in mind is that if you decide to switch auto insurance carriers later own, having more than the minimum requirement could earn you a discount with your new provider. That’s because policyholders who have higher limits are often regarded as more responsible drivers, which is what insurance companies like to see. To show their appreciation, they may throw in a discount when you become a new customer. Take a look at your current auto insurance policy to see if you’ve got more than the bare minimum. If so, talk with your agent about how you can increase your limits without breaking the bank. Your insurance company is sure to do everything possible to work with you to boost your peace of mind.